A fishing guide, hunter and full-time funhog, Kate follows the seasons the same way she chases fish—with constant motion. 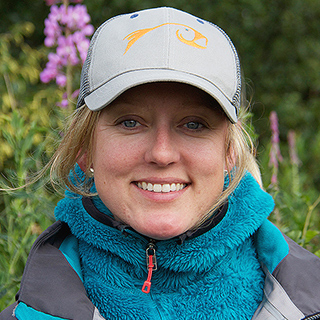 Along with her partner Justin and their yellow lab Kada, Kate migrates with the seasons, spending the summer guiding in Bristol Bay and fall and winter fishing in the Pacific Northwest. In spring, she heads to the warmth of Southern Baja before happily repeating her journey all over again.